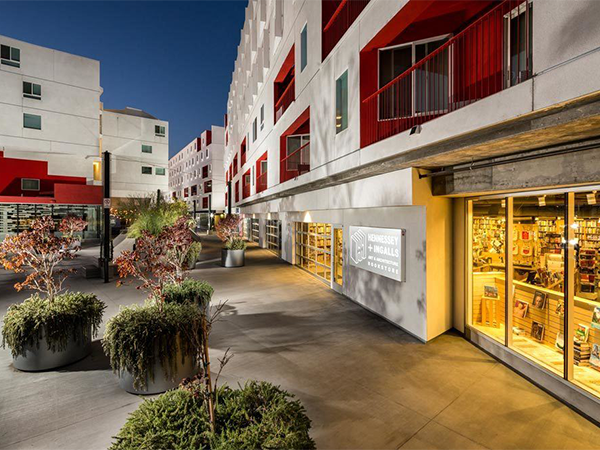 This project entailed the new construction of the commercial component of One Santa Fe, a mixed-use, transit-oriented development in the Arts District, a low-income community within Downtown Los Angeles. The project comprises 77,000 square feet of commercial space supporting 438 rental residential units. The commercial component created 293 permanent jobs, 51% of which will be held for low- to moderate-income individuals. It also generated 358 construction jobs. The project promotes sustainable growth in Los Angeles. Additionally, the project brings a grocery store and convenience retail to a low-income community that is under served in these areas.